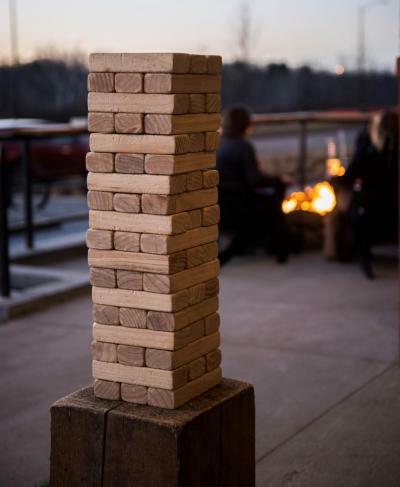 Games, craft cocktails and 30+ craft beers on tap. Do we really need to say any more? 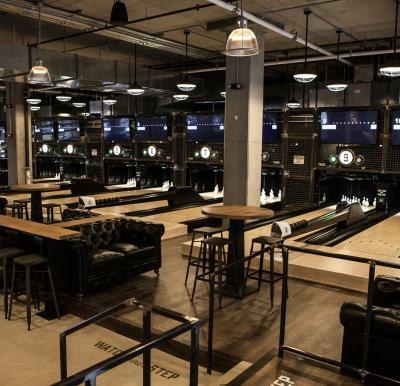 PINS Mechanical at Bridge Park is the perfect place to enjoy a few libations and get your game on with duckpin bowling, bocce ball and much more. Check out these 6 reasons we know you will love PINS Mechanical as much as we do. 1. Games on games on games. Literally. 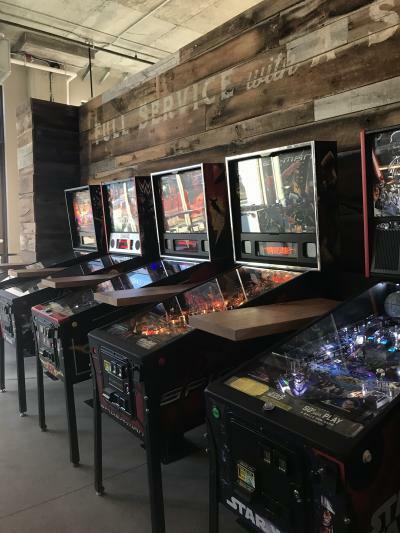 PINS offers old school entertainment with a new school feel. They are most well known for offering 10 lanes of duck pin bowling. Never heard of it? Duckpin bowling uses the same skills as the 10-pin bowling you’re used to with a smaller ball and smaller pins. Sign up for a game to test your skill! Not a bowling fan? Don’t worry, there are plenty of ways to get your game on at pins. 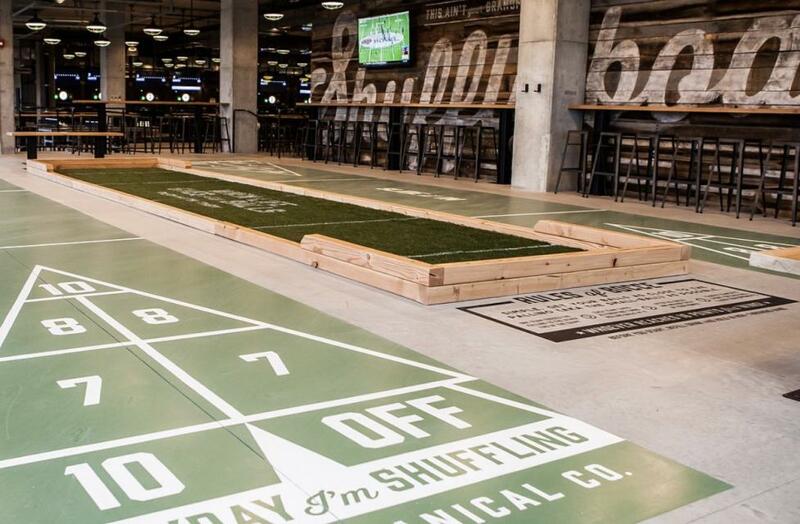 Challenge a friend to game of ping pong, challenge yourself to a match with one of their pinball machines, get competitive with a round of giant Jenga or set down your brew for a rousing game of bocce ball. 2. Craft Beer & Cocktails. 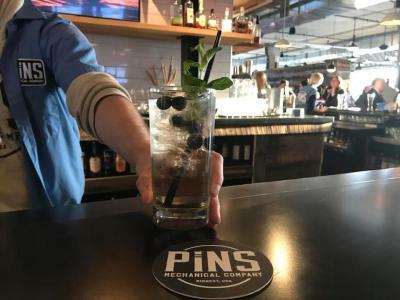 With more than 30 local brew on tap and a creative assortment of cocktails to offer, PINS has something for everyone to enjoy. For a light, fruity taste, give their Rose All Day a try – a delightful combination of rose vodka, lemonade, Rheingeist Bubbles and rose water. Want to take home a piece of PINS swag with you? 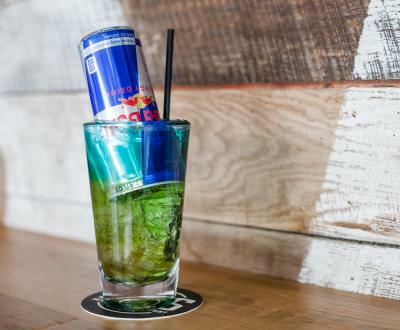 Give their signature cocktail, The Baller, a try and take the glass home with you when you’re done! 3. Bring your own grub. While PINS does not serve food, they know you pinball master, ping pong champions get hungry after a big win. So don&apos;t worry. You are welcome to bring in just about anything to PINS. Order something in or get take out from one of Bridge Park&apos;s many, downright delicious dining spots! Food trucks. While PINS does not serve food, they know you pinball master, ping pong champions get hungry after a big win. So don’t worry. Food trucks are parked right out front for your convenience. Enjoy! 4. Kid friendly until 8PM. Want to have some fun while your little ones get some of their energy out? Bring them to PINS! PINS Dublin is kid friendly until 8PM. 6. Celtic Cocktail Trail Stop. PINS is one of three Celtic Cocktail Trail stops that are located at Bridge Park! Their cocktail, Leatherlips Revenge will give you the energy you need to keep gaming all night long. Want to learn more about the Cocktail Trail and how you can get started? Click here. Allie is a graduate of Otterbein University. She is a Central Ohio native, but can always find something new to explore in the area! She loves trying out new restaurants and finding hidden gems in Dublin. In her spare time, you might find Allie at Orange Theory Fitness in Dublin, shopping local home and fashion boutiques, or enjoying all things sports!